The first Maker's Faire happened on the 17th at the White House, more on all of that goodness here if you didn't catch it. I'm thrilled to be a part of this building movement & that NOLA had its own mini-Maker faire this year. There are a few days left on our 'nationofmakers' discount code for FREE shipping on orders over $20 btw, good until June 30! 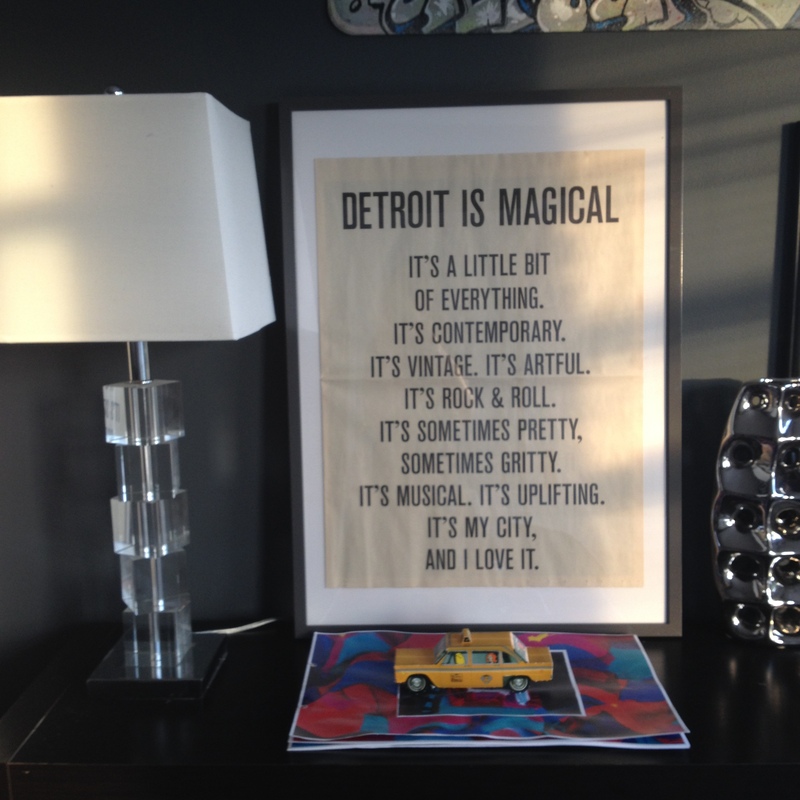 Last week I visited Detroit for the first time, it was an inspiring experience. I'd been curious about and drawn to Detroit for many years, so I was doubly thrilled to attend + give a talk at the Association for Community Design's conference 'Emergence' in Detroit this year. I didn't realize the impressive scale of the city and only getting around by walking and biking, really only saw the center portion of the city. It was awesome to see so many incredible projects and meet so many good folks. 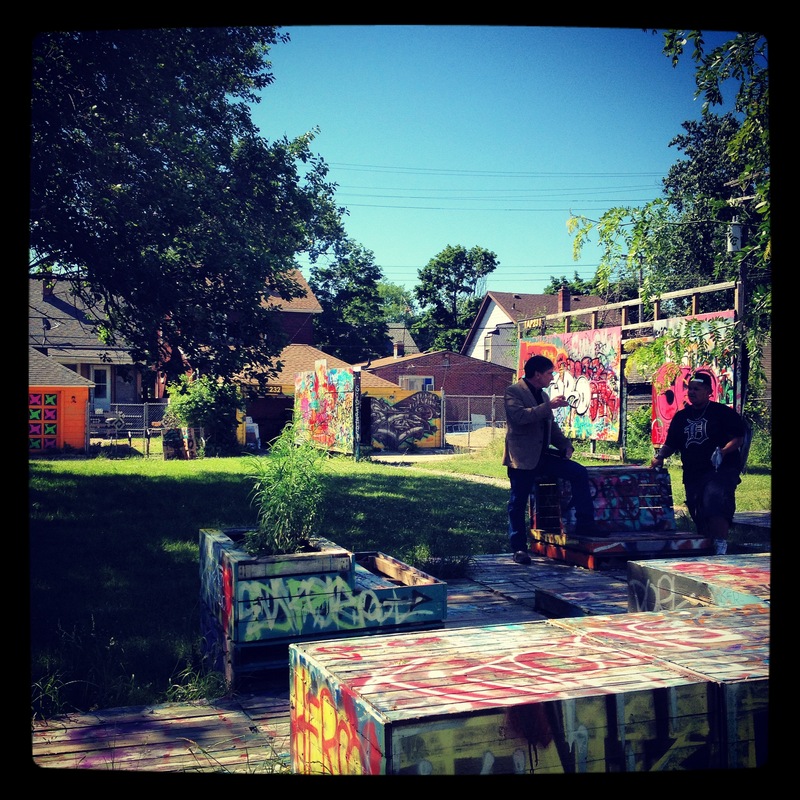 Three of my personal faves were The Empowerment Plan at Ponyride & the TAP Gallery in Southwest Detroit. The conference is easily my favorite that I've ever attended, a pleasure to meet in person finally Patrick of the Swingsets not parking spaces, Kathleen of Latent Design in Chicago, and the good folks at D:Hive, as well as inspiring folks from Boston, Dallas, and all of the good people based in Detroit, including Challenge Detroit! 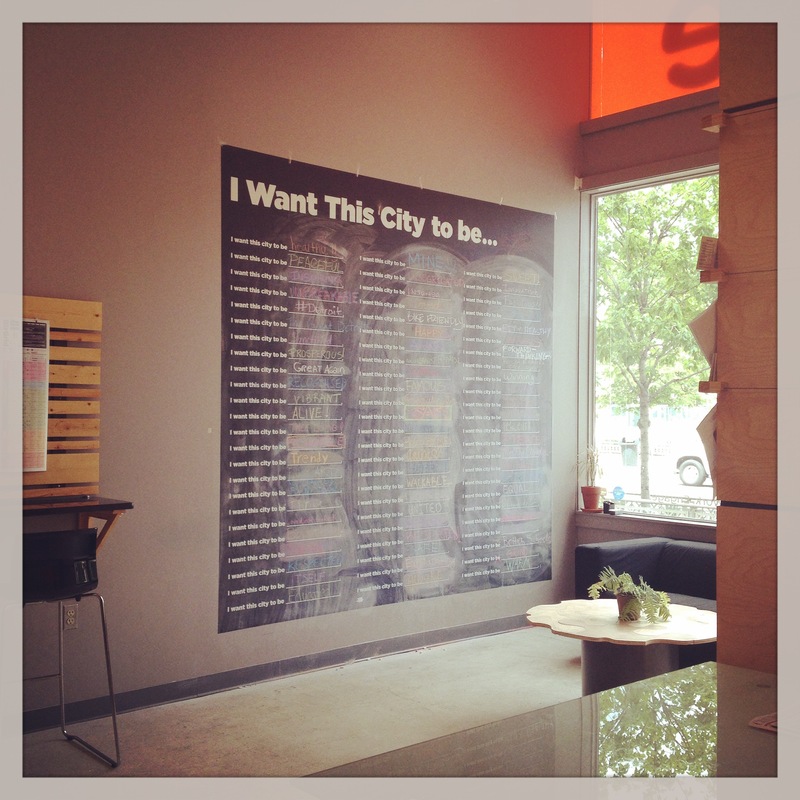 If you asked me, Community Design is where it's at! Bon weekend to you & I hope that all is well in your world! - Oh yes, I almost forgot! 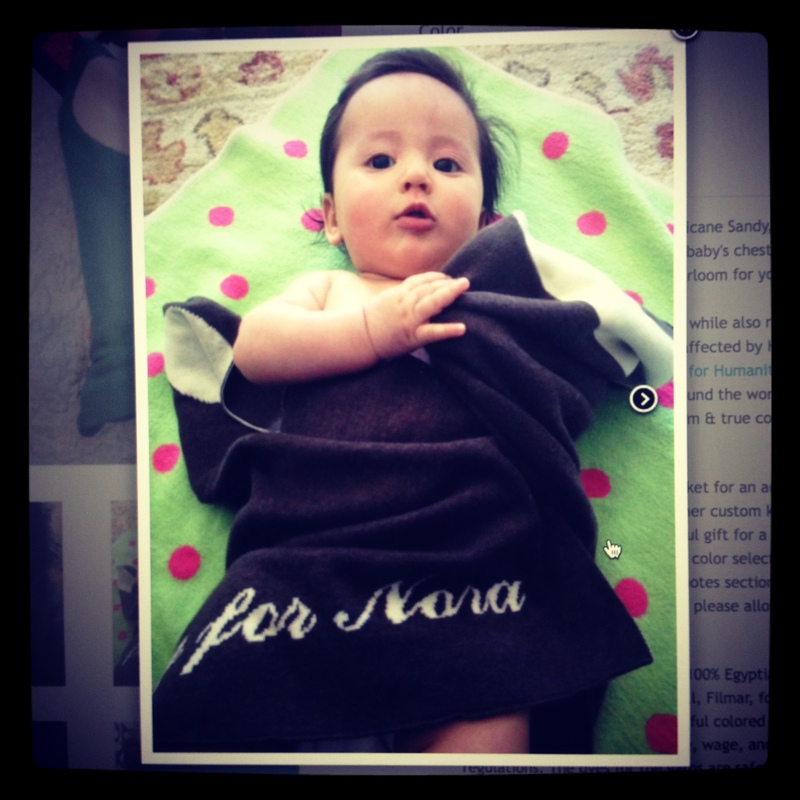 We now have personalized blankets available on our website for an additional $40 & we were able to reduce the original blanket price to $110, hooray + see beautiful baby Nora sporting her custom blanket here! 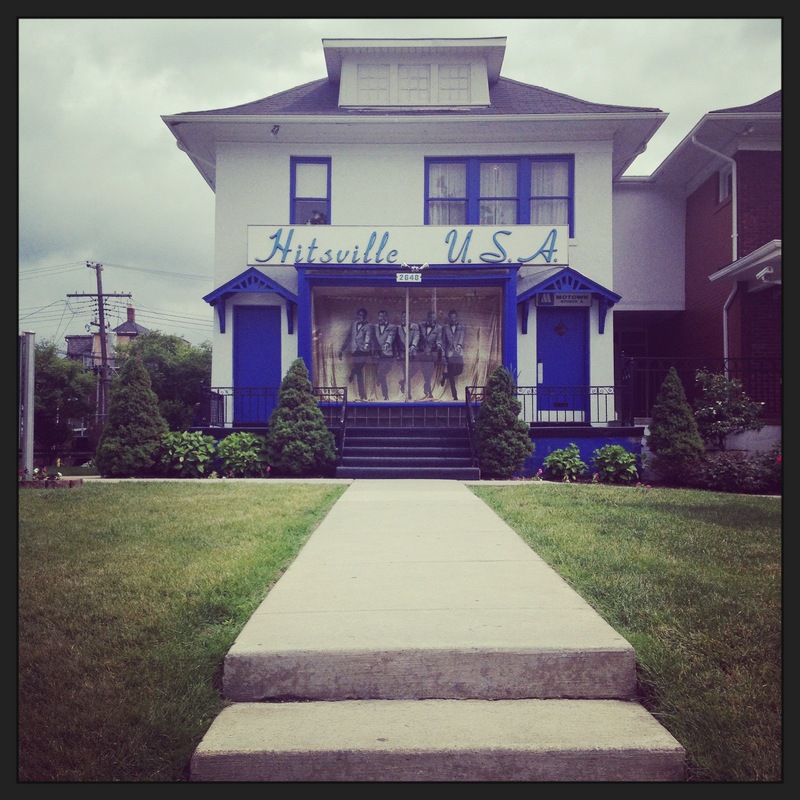 Detroit Pics: D:Hive w/ 'I want this city to be' á la Candy Chang Motown is a must visit. 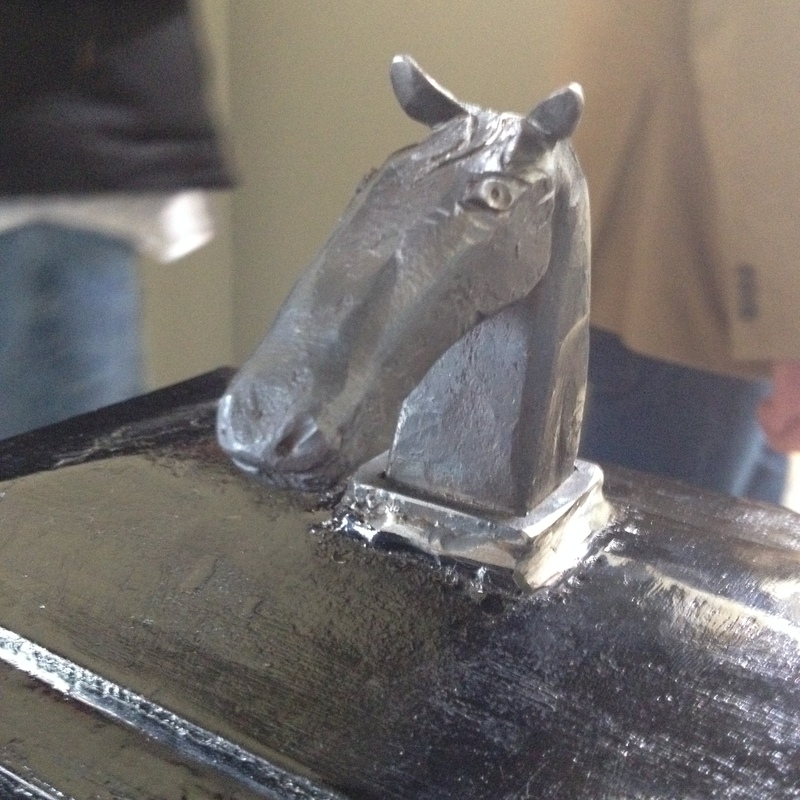 The cool horses on the newel posts at Ponyride. 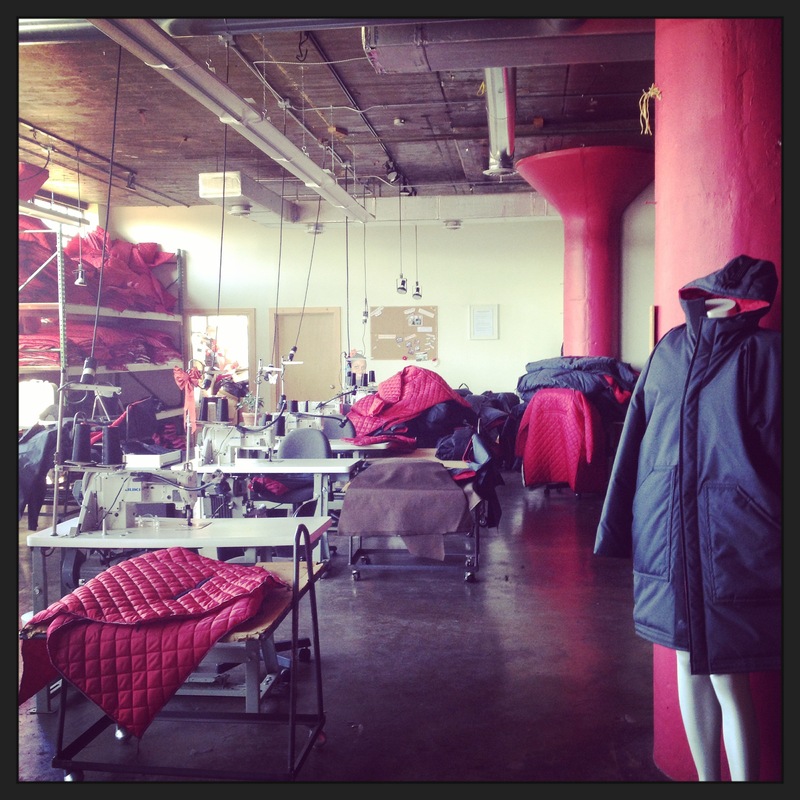 The Empowerment Plan - Carhart like jackets that become sleeping bags for the homeless, also employing now formerly homeless women. The TAP Gallery. 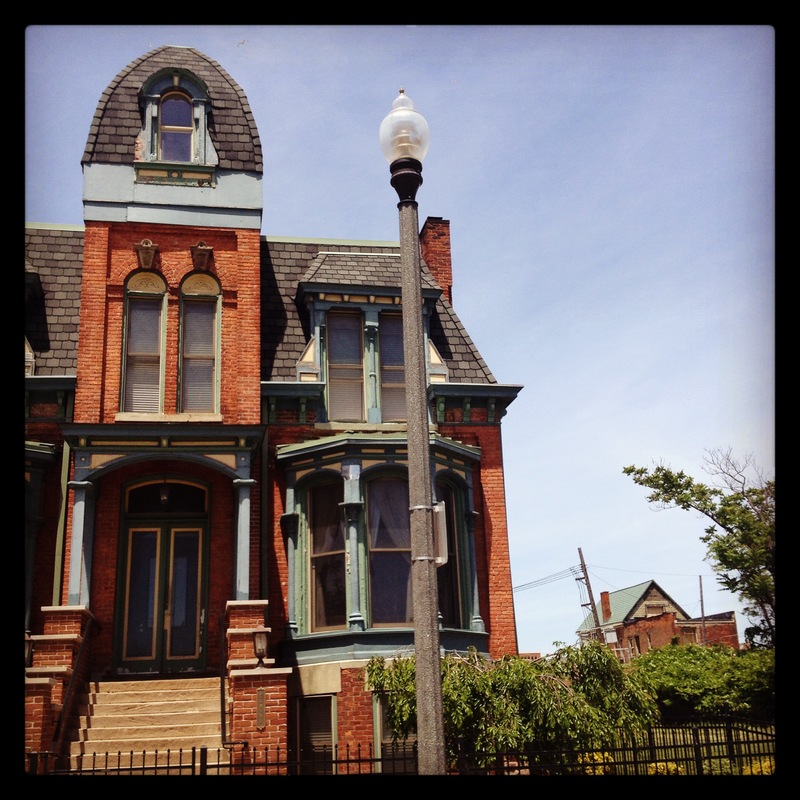 Brush Park Mansions. Signal Return (letterpress workshop & store) in Eastern Market. 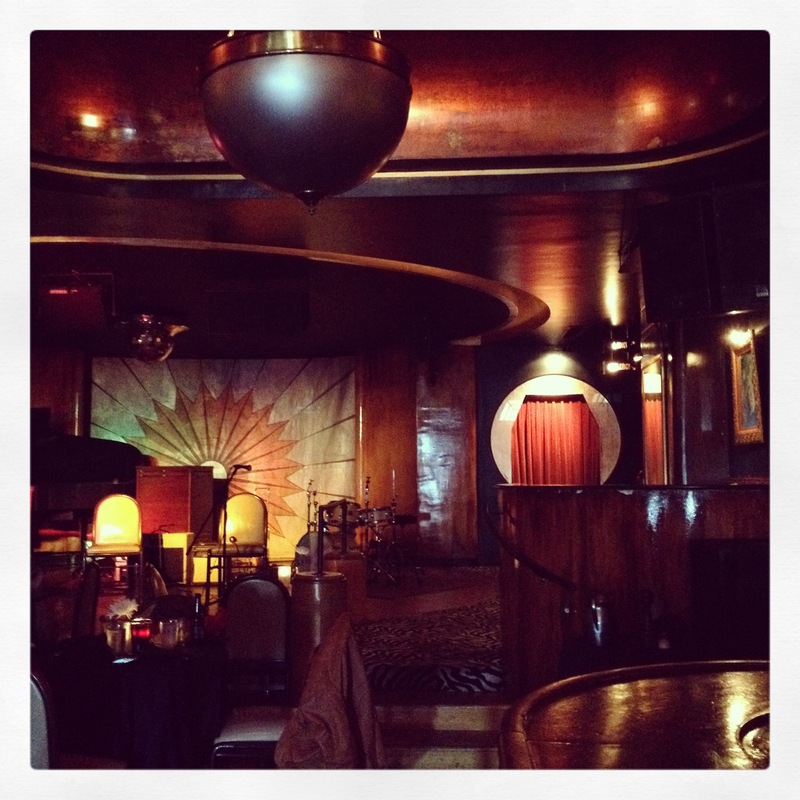 Ooohlala, Cliff Bell's - glamourous jazz joint w/ delish drinks & eats. In my airbnb.. I didn't get a good picture, but can't leave out Old Miami, thank you for the great times! Article on Authenticity & Fathers, Padres, Babbos Day soon! Dig deep—what would you do if you let yourself do anything? It’s scary to trust yourself, to take risks, and to be honest with yourself, no matter what it is—professionally, creatively, or emotionally. When we do though, the most wonderful things happen. I believe that if you’re scared in some way, it’s likely that you're on the right path and the best things are ahead.Is it hard? Absolutely.As in anything, it takes the trying, doing, and practicing to achieve. When you allow yourself to be you, you will take more risks, create the best work, and discover true gratification. Curiosity, motivation, and enjoyment are unparalleled when being true to yourself. 1. Trust yourself. 2. Don’t compare yourself to others, don’t rush, pay attention to the details, try new things over & over & over again, don’t give up, and if something bothers you do not ignore it. Also, don’t be too hard on yourself and don’t forget to give yourself a pat on the back or buy yourself a beer sometimes for keeping it real. We have many toolkits and shortcuts given to us in our lives, sometimes it’s easy to forget that you can make your own too. I believe that life comes down to making a lot of decisions. For the tougher ones, I will lay out the core of each route and pick which makes the most sense, seems the most exciting, or is actually feasible at the time. To help in creative projects, I have ingrained these pairs as guides for my final decision making process for concepts: risk|unique + genuine|details + authentic|longevity = good to go. There is beauty in honestly feeling good about what you’re spending your time on and the great thing is, we can all have that beauty. 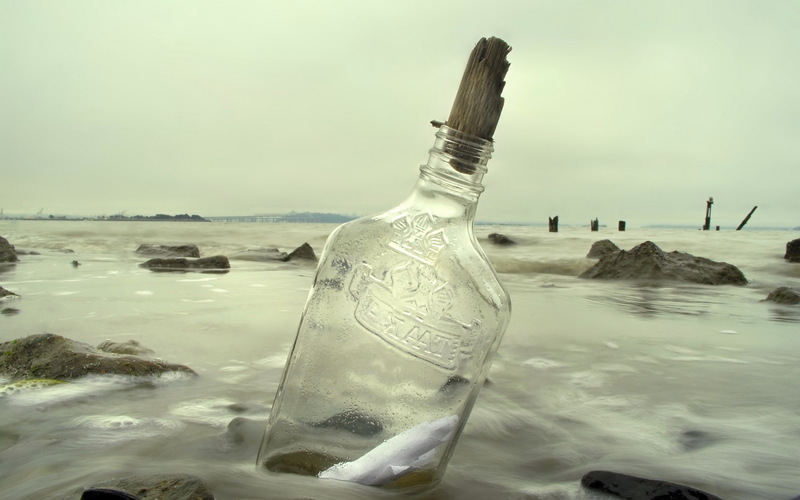 An online bottle to the sea, Dear Universe..
Dear Universe, Please help me to find this wonderful person or people to be a part of Matter. Her or his qualities: Please be a unique, inspiring, and intelligent individual who has skills different than mine while also having a heart and making decisions with that heart (not solely focused on large growth and profit). Skills and attributes such as being a financial maistro, an equity partner, and well connected to help Matter wisely & sustainably grow. Also, this person would be passionate about Matter’s mission to significantly create positive impact for our world’s most pressing problems and dedicated to triple bottom line business - Business for good. I would also love to find a unique, lovely, and whip-smart person to thoughtfully and skillfully run Matter along in the day to day of the business. 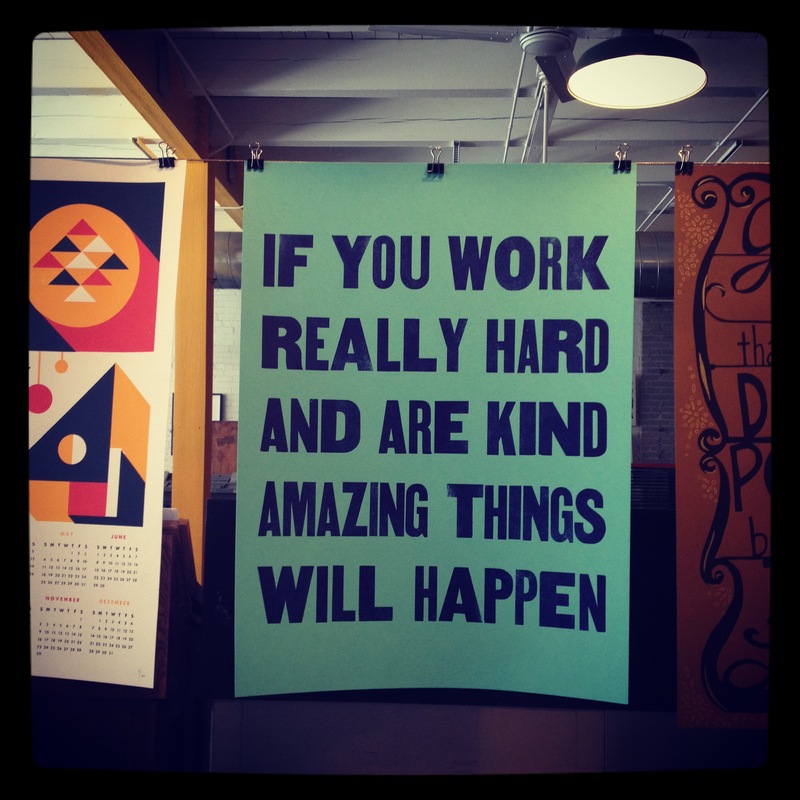 Most often this would include: Replying to emails, shipping orders, ordering and researching materials, and managing the books, all with care and thoughtfulness to details pretty please. These two people would create such significant positive change for Matter and would also allow me to do what I do best most frequently, the creative thinking, research, and concept development. This would also allow me to be able to grow the consulting side of Matter, which would be a wonderful thing. I'd love for us to all to feel inspired, gratified, and enjoy working on Matter Projects. Thank you for your help dear universe, I’m grateful for all that you have shared with me thus far, and I appreciate you. With all my best and biggest thanks, Tippy Tippens, Chief Eternal Optimist, Matter Inc.
*New* Blankets, Re:MAKE in Austin, my ahamoment, & a lovely feature on Grommet. HOORAY! Our warm, snuggly, softest blankets that give back to Architecture for Humanity are up on the webshop! I'm so excited to offer them at an introductory price of $90 for 30 days, see their page on our webshop here! We've been getting great feedback from parents using them everyday & it makes me so happy to hear. My friend Christophile, got a blanket for her baby, but her older son loves it so much he likes to keep it for himself! (See lovely pic below.) 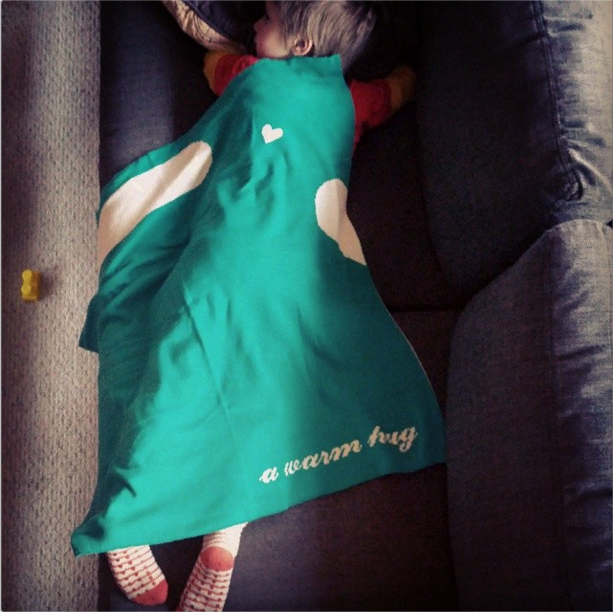 It's so wonderful to hear stories of happy kiddos w/ their fave blankies & babies sleeping soundly swaddled in theirs. I remember my sister was really attached to her blankie & wouldn't relinquish for many years! See all of the available colors & more info here. I'm also excited to be heading to Austin again in the first weekend of May for a cool new event at the Palmer Center called Re:Make! May 3,4 & more info here, check out all of the great makers coming in from across the nation, & come & see us in Austin! Matter was also recently honored by being selected as New Orleans' 'my aha moment' a virtual national tour collecting inspired aha moments, see more details here! And please check out this awesome feature by the Grommet on the making of BirdProject as well as the continued work of International Bird Rescue & Gulf Restoration Network four years after the 2010 BP disaster. Thanks so much for your time, let me know if you have any questions, & see you soon! Tags: matter news, new goods! SXSW Renegade this week & *new* Matter blankets in next week! WOOT! 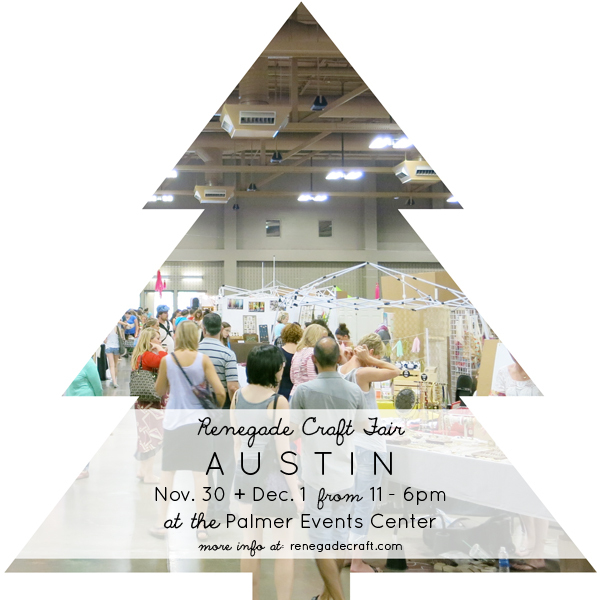 Tomorrow, I'm excited to be road-tripping to Austin, a beetle-full of Matter goods in tow for a special SXSW Edition of the Renegade Craft Fair! Come and see us at the Palmer Center, Matter is in booth No. 17 - one of my favorite numbers.. This is a free-to-attend event this Thursday, Friday, & Saturday, noon to 8pm each day (that's March 13-15). We are excited to see you & will have all three editions of BirdSoaps plus our newest goods there! Aaaaand, bonus news! 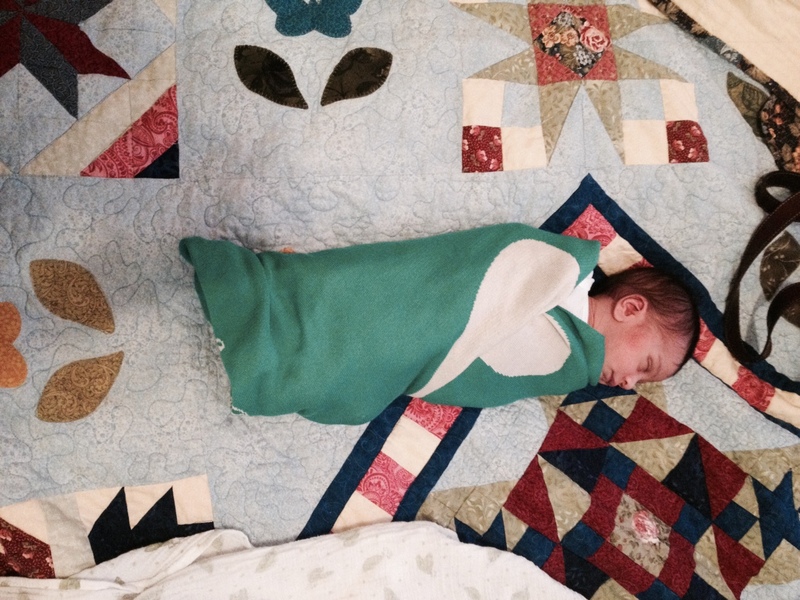 Once back in NOLA early next week, our swaddling blankets are finished & will have arrived, ready to send to you! This has been a long time comin' & I couldn't be more thrilled. More coming soon on a launch event & the biggest thanks to those that have been patiently waiting. BIGGEST thanks. *baby photo below is of the last prototype, they are EVEN better now! Hope all is well in your world & thanks for all that you do! 14 days in to our new year of 2014. This was a special holiday, my family, gentleman friend, beloved furry friend Tonto, & I traveled to Key West. We roadtripped down and back from New Orleans, checking out Florida's west coast along the way. Having never visited the Keys, the Everglades, much less Florida below the panhandle area, it was exciting to explore and make the trek down to the southernmost point of the U.S. 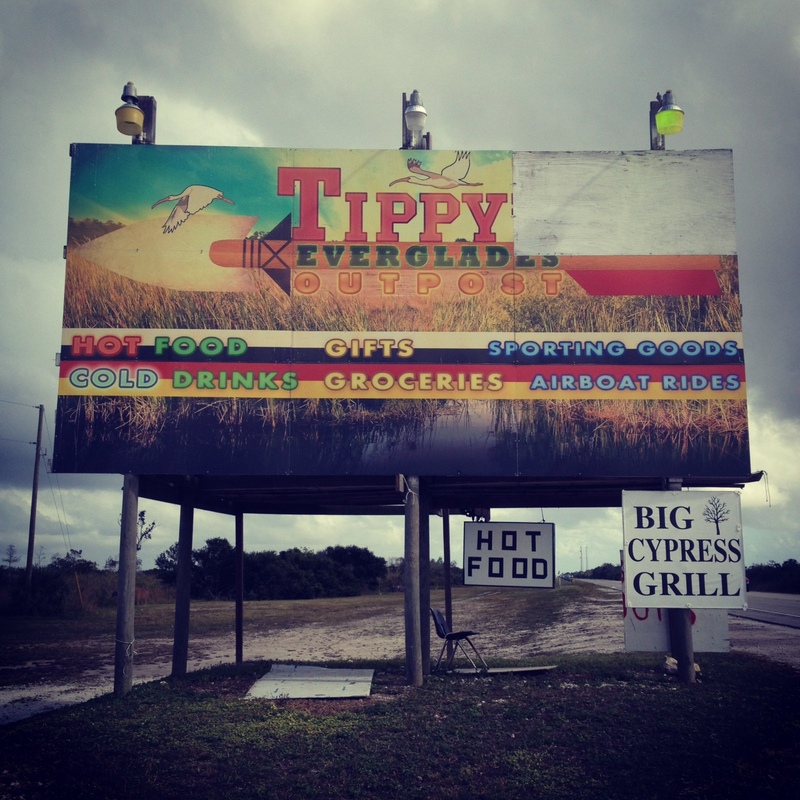 I even discovered a fellow Tippy in the middle of the everglades! Pic below, his name was Elvis Tippy, founder of this shop & restaurant and also chief of the local Indian tribe, unfortunately he has passed along. Hemingway, alligators, and swamp boats beckoned and biking the island, taking in the sea, and hanging in salty dive bars was a true treat and am SO grateful to have spent a great time w/ my dear ones in such a relaxing, beautiful place. 2013 was a challenging one and I am all the more determined to create a timeline for this year (and stick to it!!) allowing for lots of 'X-factor' time to meet/get well ahead of important deadlines throughout the year & creating new products at smart times. (Noticed these cool calendars on design milk, ordering a BIG one today for the studio!) For the new year I'm also determined to take better care of myself, exercising more, more vino than beer, writing more, & allowing myself to take more regular breaks/relaxation. Part of this too is also allowing/creating more quiet, creative thinking time - and drawing. I really miss drawing & want to promise myself to let my creative mind wander, pen in hand more often. I've started protecting my morning time, when my creativity is at its best & leaving the nuts and bolts for later in the day. Having enough money to do new projects is also a constant challenge, as part of my plan for the year I also want to tackle finding grants and indiegogo campaigns (earlier in the year) as part of my schedule and not an add on for evenings and weekends. All in all, I'm grateful and excited for the year ahead. To begin, I'll be working more on three new topics which the three interns via Tulane's service learning - Sally, Taylor, & Elizabeth - made some great discoveries last semester on the following: Water, Bees, & Gun Violence. I should get back to it, I hope that your year is starting off happily & wishing you all the best, cheers from NOLA! Free shipping offer, in Austin, TX, & delighted to have the bleus! Hello & I hope that this finds you well! We have many exciting things coming together & would love to share a few quickly with you. Please come & see us at Booth No. 8 at the Renegade Craft Fair! When you walk in we'll be in the front row on the far left - I will be bringing our new bluebird edition 'Beau Ciel Bleu' (Beautiful Blue Sky), Dreams Matter Notebooks & Totes, as well Lovebirds & original White Birdies. I will also be able to take orders for our Rabbits for Reading & Warm Hug Baby Blankets that weekend. It would be lovely to see you - I hope that you can make it if you're in the area! Info // November 30 + December 1, 11am – 6pm // Palmer Events Center - 900 Barton Springs Rd. Austin, TX 78704 // Free entry! Please use discount code 'freeshipping60' - this discount code is good through December 17! 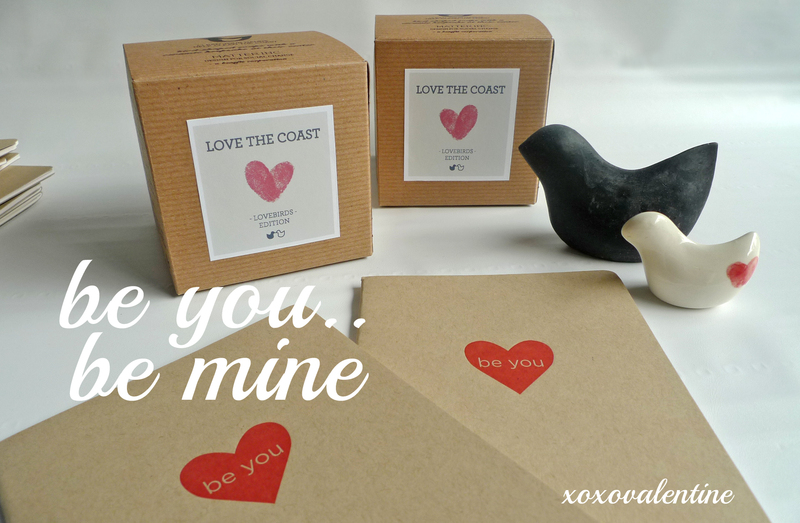 As our goods are handmade, we have been busy elves making goodies for you & yours. This year, I'd like to offer you free shipping on orders over $60! In order to arrive safely in time for the holidays, our last shipping date via the USPS is the 18th of December. Give our new things a look-see here & more new goods will be posted over the next few days! It's truly thrilling seeing everything coming together & I hope that you like them too! Also, as I mentioned above, I've never been so happy to have the blues! We have a beautiful new blue birdie available now, please give them a look see here. We made this unique, custom blue glaze thanks to the endlessly talented Brooke Cassady & have been working on it for many moons. We are both so excited to have found our beautiful blue. Please let me know if you have any questions & have a wonderful week ahead! Yesterday I had my first consulting meeting over the telephone with Leslie Kingery in Denver, CO, I had offered this as a reward on Matter's recent Indiegogo campaign. This morning I woke up to the loveliest email, here is a quote: " My day & my business totally turned around by this call with you! " Leslie is in her startup phase for a new, social good/tech business & had questions about Benefit Corporations, business name ideas, & some overarching strategy ideas about her business. We had an inspiring talk for over an hour and I also gave her my backpocket hotel to stay in NYC when in a pinch (her day turnaround). I'm so excited about Leslie's Awesome new venture & to see it become real. I'll keep you posted when it launches & happy Thursday! Why I’m focused on sustainable manufacturing in the U.S. that also gives back. It is also a city that is severely susceptible to the effects of climate change. How soon will it happen? Many say 2050 and others that it could be at the end of this century for a 3’ rise in sea levels, at either point it is too close. We, as a society have chosen not to believe in science for too long on this. It is part of Matter’s mission to establish sustainable manufacturing jobs in the area, creating work that is healthy for both the people and for the planet. As evidence of climate change, post Industrial Revolution becomes more and more concrete, the associated costs of the items that we purchase comes to mind regularly. What is the cost of no longer having precious wetlands, which protect during Hurricanes and are an essential balance for our eco-systems? Or, the full costs of manufacturing items too inexpensively, as seen in the recent garment factory collapse in Bangladesh? Or, the true cost of air pollution to our health? Sidenote: An unfortunate reality, there is a twitter feed for Beijing’s air quality, which regularly tweets ‘unhealthy’ levels and once dipped so far off their measurement scale, they called it ‘crazy bad’ for lack of a measurable level. All of these side effects are not currently tallied in ‘cost of goods sold.’ As climate change increases, these costs will also rise. An article in the Guardian discussing flooding costs states that by 2050 these will rise to 1 Trillion Dollars per year. Considering the worst case scenario should be the gauge for decision-making making in city planning, manufacturing, and energy. The most hopeful case scenario or blind-eye scenario is what we have been using since the Industrial Revolution and the time to change that is now. There is no denying that our over-use society is creating climate change. Sustainable decision making is at the forefront of what we need at every level. Sustainable = able to be maintained at a certain rate or level. I founded Matter, the first Benefit Corporation in the state of Louisiana, to focus on creating sustainably made, daily-use products that create meaningful connections for our most important social and environmental problems. Matter aims to focus not only on the effects of decisions made now, but also for a healthy, sustainable future. 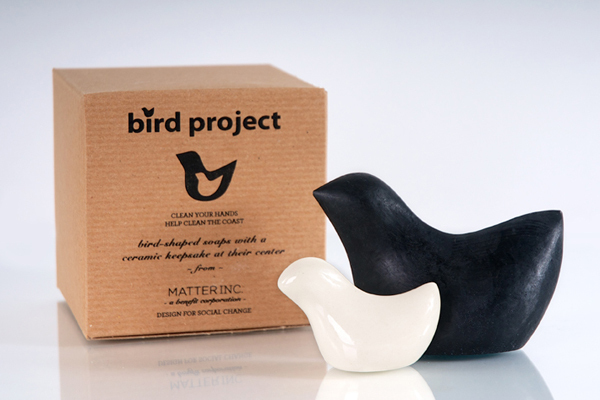 Matter’s launch product is BirdProject Soap, which I began in order to help raise funding for oil spill cleanup post BP’s Gulf disaster in 2010 (considered the largest accidental disaster in the history of the petroleum industry). Each all-natural black, bird shaped soap contains a white, ceramic bird, which remains as a keepsake once the outer soap has washed away. Through the daily act of washing, you will eventually free the clean, white, ceramic birds inside - potent symbols of restoration and recovery. 50% of proceeds are donated to groups working on restoration post BP Oil Spill disaster, we are proud to have donated $18,000 to date. Hope. Hope is what I try to achieve in each Matter product, a first step to help solve large & overwhelming problems. My title at Matter is Chief Eternal Optimist, but it’s one based in reality and much research. We can create change and make a significant difference in our communities, but we do have to take the steps to make realistic, often seemingly daring, sustainable decisions to do so. I am delighted to now introduce three new meaningful, community-based products that give back. These focus on building literacy, education in low-income neighborhoods, and rebuilding needed post Hurricane Sandy. Please watch our video to see them in action here & find out more about each one below. 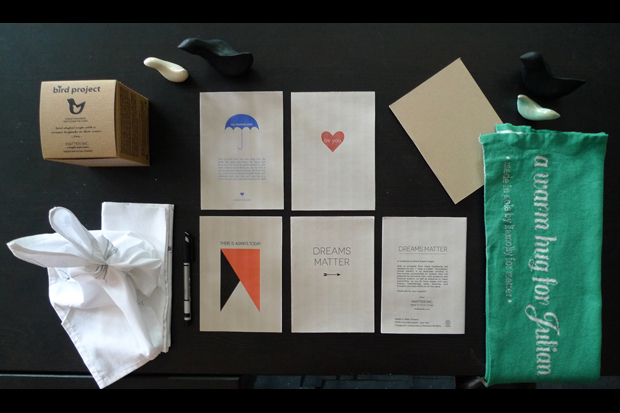 We are currently raising funds to create this new line of poetic products, please help us make them here on indiegogo. The first is a series of letterpress notebooks, made of 100% recycled paper in New Orleans. A sketchbook is a trusted confidant and a place where dreams begin. As you fill these notebooks with your dreams, you also help students stay in school via donations of proceeds to the "I Have A Dream" Foundation. Two, Rabbits for Reading is a child and adult sized flax linen napkin set. Once folded, a rabbit appears! This new reading toy builds upon the benefits of learning and play, fusing fun and reading. In our growing era of tech and gadgets, play and imagination with analog things is ever important. Donations go to S.T.A.I.R., a one-on-one tutoring group & First Book, who give books to schools in need. 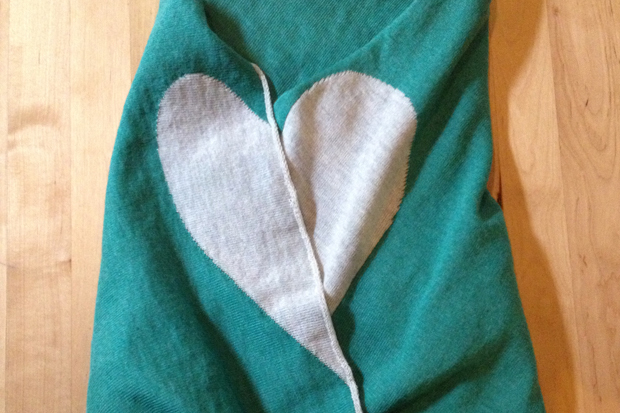 Third, Inspired by the needs brought by Hurricane Sandy, this new blanket forms a heart upon your chest once wrapped around you, essentially giving a warm hug. Soon available in multiple sizes, we are beginning with the smallest size for infants (30" x 30") and then will work our way to a full, adult-sized throw blanket. These blankets bring you warmth while also raising funding for rebuilding communities that are still affected by Hurricane Sandy. We will give a percentage of proceeds to Architecture for Humanity who rebuild communities affected by disasters around the world. What makes them different is their focus on the long term & true consideration of each unique community. Less than 48 hours left! Please help us get to 5K for our making-fundraiser (now at $4100) & Merci Beaucoup for your support! 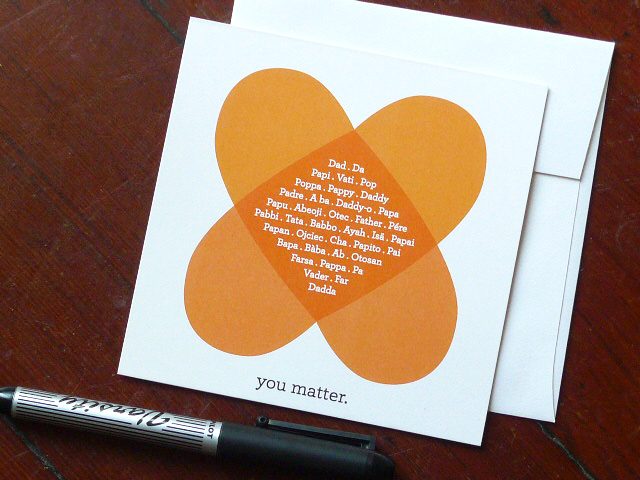 Happy Birthday to BirdProject & Matter's first year as a B-Corp! 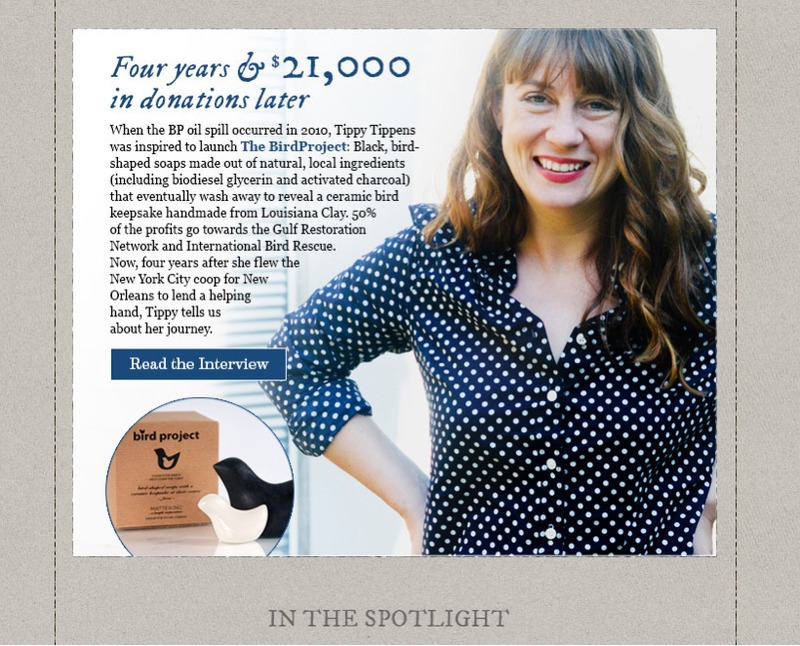 August is BirdProject's birth month & Matter's Benefit Corporation birthdate! Three years ago I set foot in New Orleans for the first time, I never cease in looking back with amazement on how much has happened since then. Doing so, I better realize that I arrived here with an idea laid out on a piece of paper and a lot of determination. I brought that piece of paper with me to all of the meetings that I arranged around the city & still look at it from time to time as a reminder of how much you can do once you start organizing an idea. As Matter has its first Benefit Corporation birthday, I am excited to be working on 3 new ideas that contribute to education and disaster relief post-Hurricane Sandy. They are currently up on Indiegogo to raise the money to make them a reality, please back us if you can or help get the word out. I so appreciate your help in turning these ideas on paper into real, live things that give back & in time for fall when they will be needed. Each new product houses layers and layers of research, seeking producers, do-ers, & risk-takers for each part of the project. I am dedicated to working with those that are doing unique and meaningful work. I also think it's important to enjoy working with every person involved in each new project. My drive mostly lives in finding new solutions for the worst problems that we face today. Often, I think the solutions are basic, but our society often wants to overlook these answers, ironically they may seem too hard. My goal is to try to find the hope to move forward with each situation. Looking ahead, to future birthdays next topics are: wetland restoration, gun violence, and the preciousness of water. Thank you for helping me make it happen, I am ever grateful for your support and collaboration along the way & ahead. Two products focus on different aspects of education needs, but that share one basic element that many students don't have, access. We will be donating to groups that provide access to books, help needed in learning to read & building confidence. 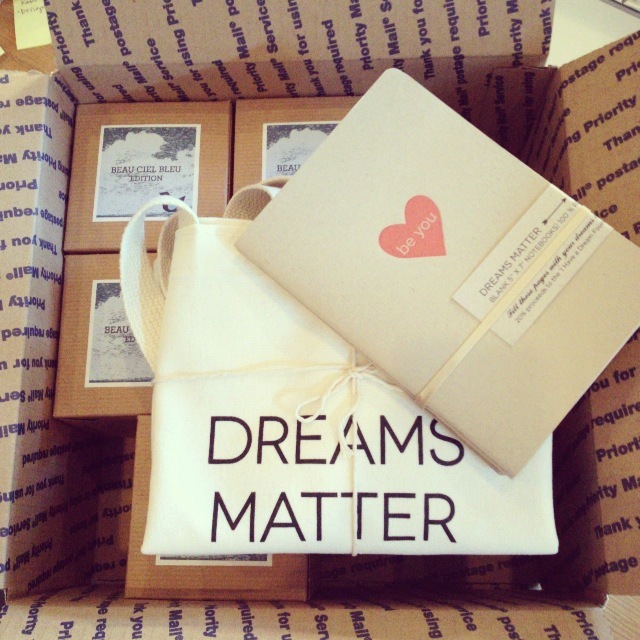 Our first notebooks series serve as a place to build dreams, the most basic item in a dreamer's toolkit. They have letterpress covers and are made of beautiful, 100% recycled French's paper, powered by hydroelectric since 1922. 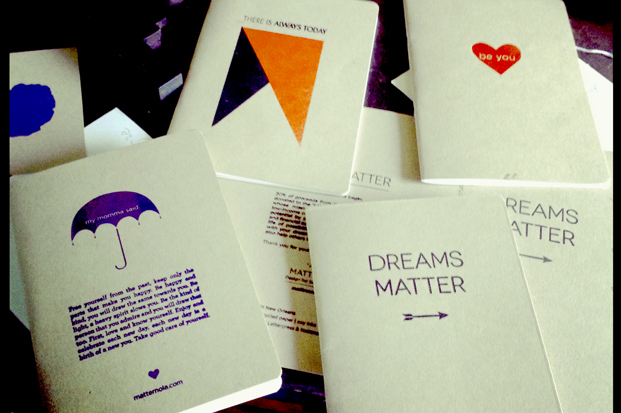 We find a new donation partner with the "I have a Dream" Foundation for these notebooks. They provide mentor-ship for low income students from elementary school to college andy work with an entire class to give them all the help, access, & insights to the many possibilities that are available that they need all along the way. 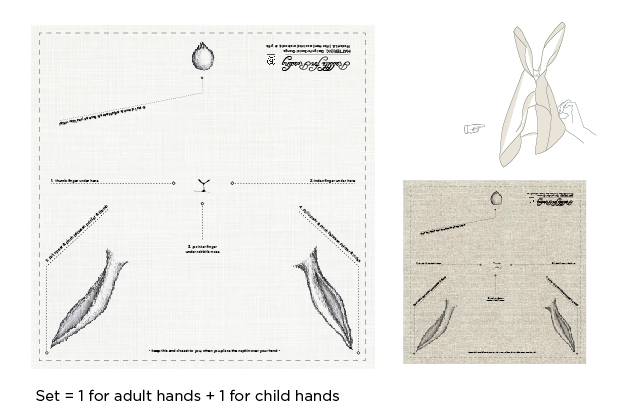 The second focused on education is a beautiful linen napkin, this napkin is unique in that its design shows you how to fold it into a rabbit. When I saw this idea, I fell in love with the magic created by folding the napkin over your hand. Cécile Thalmann & Adel Kassem are the designers behind this lovely idea and are currently living in the beautiful city of Amsterdam. Cécile's grandmother used to entertain her using this trick and she continues to play with this linen rabbit trick today. Building upon the benefits of play and reading, this linen rabbit becomes a reading buddy for children learning how to read. Using the power of imagination & invention, children see how a napkin becomes a toy, more and more important in our digital age. This product donates to a local one-on-one tutoring group, S.T.A.I.R. & First Book, who enable access to books for children nationwide. The third idea, from paper to loom, is a blanket that will help with disaster relief. This idea was inspired by the needs brought by Hurricane Sandy. Hearing and seeing images of the immense devastation, imagining myself in the individual's shoes, made me want to give that person a hug. Also, hearing about the widespread power outages in the bitter cold and lack of access to basic needs inspired the idea for a blanket. Disasters hone down everything to the most basic human needs. The group that we will donate to for rebuilding is Architecture for Humanity. I selected this group because of their commitment to individuals and community needs as well as their focus on rebuilding for the long term. So, on our third birthday, Happy Birthday to you & to Matter and may we make a meaningful difference for the environment and our communities. Big hug from me to you & great week/weekend ahead!